I recently got a MIPS Creator CI20 from the guys at Imagination to play with. 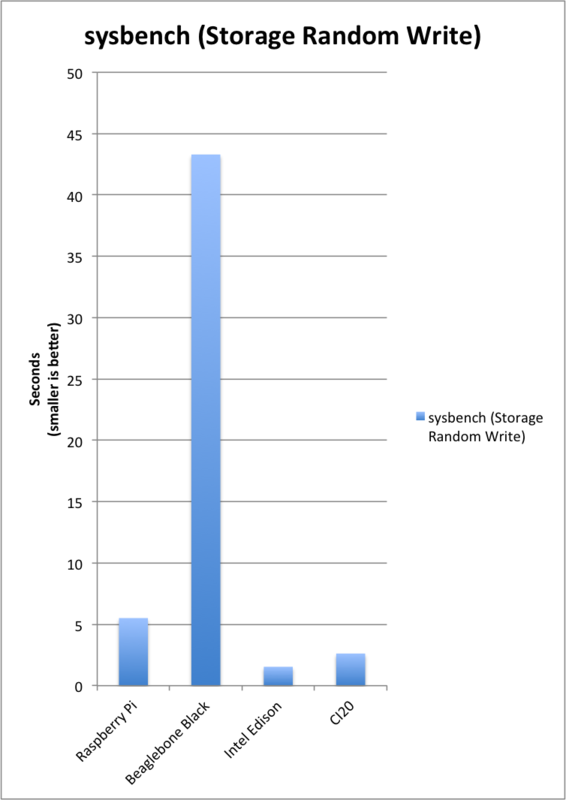 So here’s a quick of my first impressions, including a few benchmarks with sysbench. Performance overall was quite good compared to a Raspberry Pi 1 model B+, and even was pretty good compared to an Intel Edison on the CPU benchmark. Some good details of the MIPS Creator CI20 can be found on this elinux.org page. One of the main issues I had with the CI20 I got is that the HDMI output did not want to play ball with some of the monitors I connected it to. I had one monitor at work which it did work with, but the two I had at home I got no output at all. A HDMI TV I connected it to gave me “Mode Not Supported”. I would have thought that a 720p HDMI would have been pretty standard. Maybe it’s just the maturity of the firmware on the CI20. I’d like to see more modes supported out of the box. Another issue I had was that even on the monitor that worked with the CI20, there was no output at all on the HDMI for the first 30 seconds of the boot sequence You might be forgiven for thinking that the board was dead. But give it enough time, and the Linux boot sequence will kick off, bringing us into a very nice looking Debian desktop. It’s reasonably usable, but a touch sluggish, maybe not quite fast enough for a day-to-day desktop machine, but certainly usable as a graphical interface for a server machine, etc. Now down to the benchmarks. 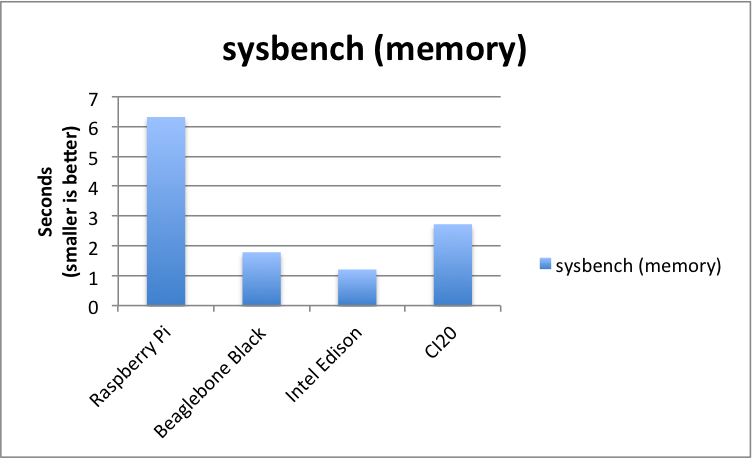 First of all, the CI20’s best benchmark, the CPU. This is a pretty impressive result, considering how much faster it is compared to a Raspberry Pi. However, it’s a 1200MHz dual core cpu, whereas the Pi is a 700MHz single core. 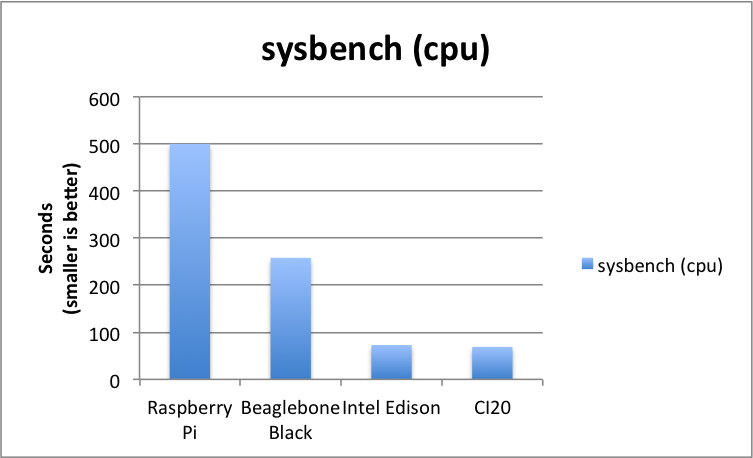 And its also worth noting that dual core CPU of the 1.2GHz CI20 core is on par with the 500MHz core of the Intel Edison. So the Intel chip gives over twice the bang per MHz. Next comes the memory benchmark. Next to writing storage. In the CI20’s case, it’s an 8GB flash drive. When I measured the BBB previously, it showed dreadfully slow results, hence the height of the image above, but we can see that the CI20 us about half the speed of the Intel Edison, but about twice the speed of the Raspberry Pi 1 Model B+. Finally, the last benchmark is the Storage Read. 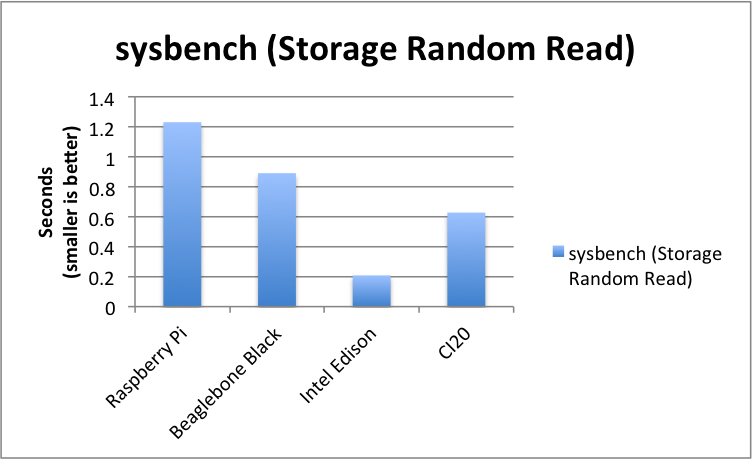 In this benchmark, the CI20 showed itself to be slightly ahead of the BBB, but well behind the Intel Edison. I also did some quick power measurements, but they have some good info on this on this elinux.org page, so there’s no need to add my results in here. So in conclusion, it’s a pretty nice board with better performance than the Raspberry Pi 1, but lagging behind the Intel Edison. This is reflected in the recommended price of £50/$65, which makes it more expensive than the Pi, but cheaper than and Intel Edison in a baseboard. However, the CI20 does have built-in WiFi and Bluetooth, as does the Intel Edison. Also, the CI20 and the Edison both have built in flash storage. The Edison has 4GB and the CI20 now has 8GB. Taking all that into account, adding that functionality would probably bring the Pi’s $35 price right up to the CI20’s. My concern is that the newly announced Raspberry Pi 2, also at $35, and reputed to be 6x faster than the original Pi, will give the CI20 a really serious run for it’s money. I’ll be benchmarking that over the coming days, so keep an eye on the blog for that. 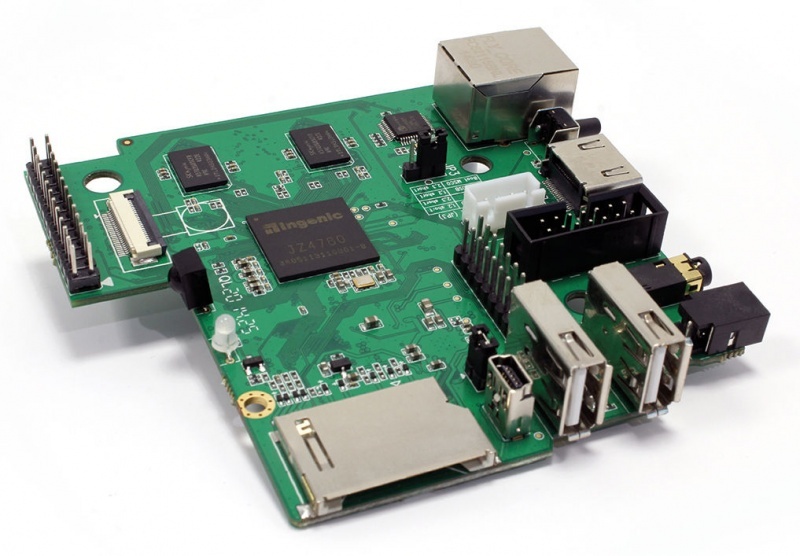 Raspberry Pi 2 B launched today with more ram and an ARM-A7 quad core chip. It’d be interesting to see how your tests compare………..